Ever since I first found out about the network of old railway tunnels underneath parts of Glasgow, I’ve wanted to explore them. My first trip underground was into the Kelvindale Tunnel, at Dawsholm near the Forth and Clyde Canal. Kelvindale is around 200 yards long but has a curve that makes it seem longer. It was only in use for just over 20 years; from 1896 to 1920, as a part of the Caledonian Railway’s Temple branch line. It’s now abandoned and overgrown. 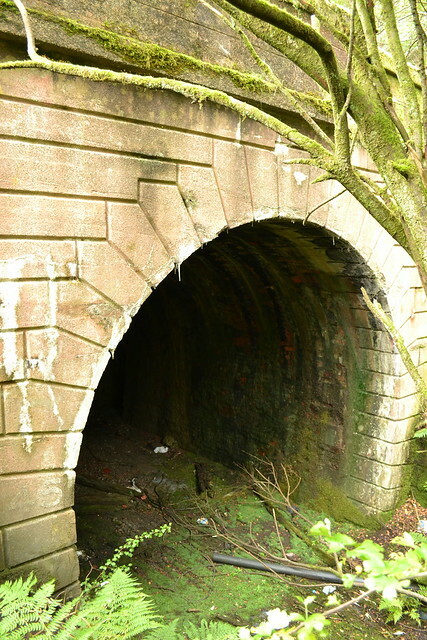 At its western end, the brick-lined tunnel opens out into a leafy cutting. The other portal is built on quite a skew and emerges right into the side of the Kelvin valley. 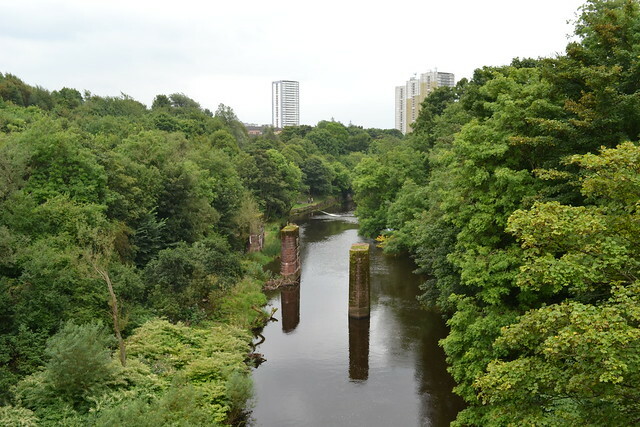 The viaduct that once carried the railway across the river is long demolished, but its piers can still be seen rising out of the water just to the south of the canal aqueduct. 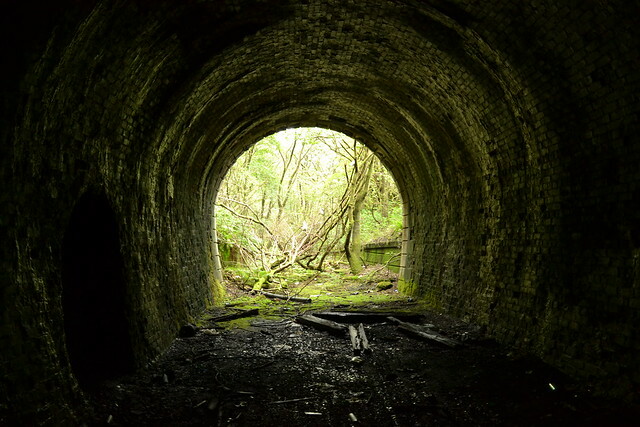 There wasn’t much to see inside this tunnel, but this was the first proper tunnel exploration I’d done, so it was still quite an exhilarating experience. It had been raining several days before and the occasional large drops of water falling from the roof made me jump until I got used to them. 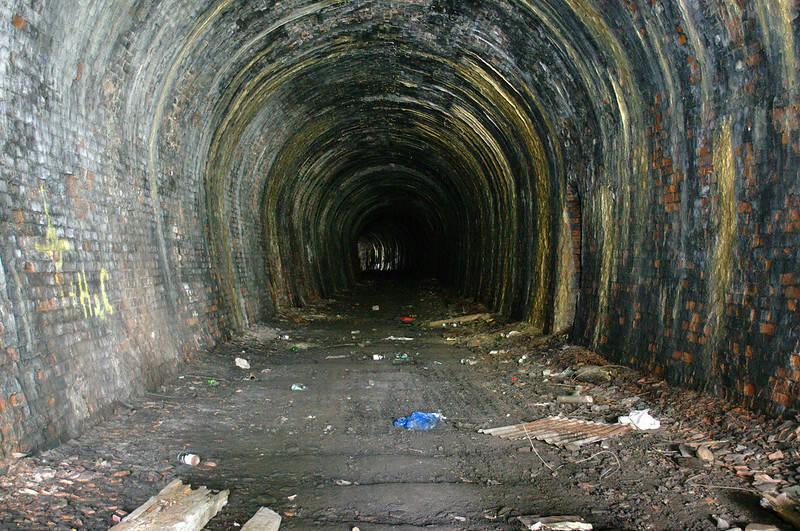 More Glasgow tunnels: Balgray, Botanic Gardens and Great Western Road, Kelvingrove. 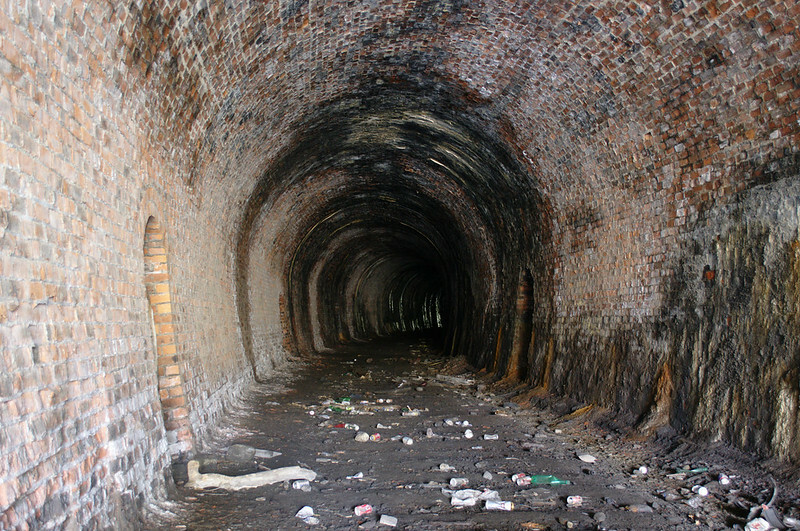 Update: I revisited the Kelvindale Tunnel a couple of years after my initial explore. Thankfully by this time I was a bit better at photographing inside dark railway tunnels! How much was your lamp’s wattage? Thanks. I think I just had a 120 lumen LED torch with me that day. Had to use very long exposures and light painting to get the interior shots.